Take your picnic blanket on your outdoor adventure! It will be your trusted companion whenever you go hiking, camping and spending quality time with your family. 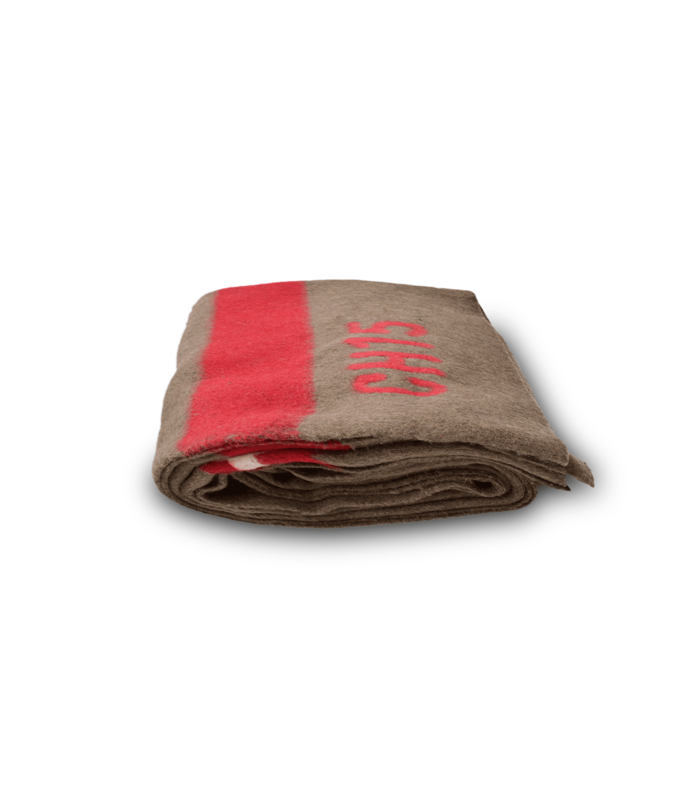 This outdoor blanket will keep you warm in any environment, therefore it’s truly a once in a lifetime investment. 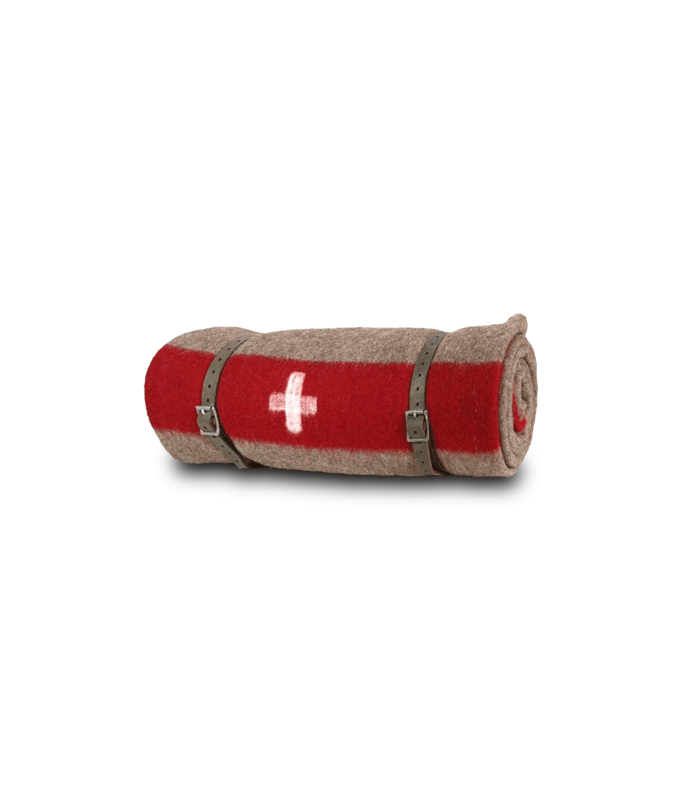 Swiss Army Blanket is an original product from Switzerland, used by the Swiss Army. 75% wool (from sheep of the Swiss Alps) / 25% other fibers. Because of the legendary strict quality requirements of the Swiss Army, this picnic blanket is extremely durable and versatile. Hence, you can recognize it by the legendary in-woven red color stripes, the Swiss cross and also a marker. 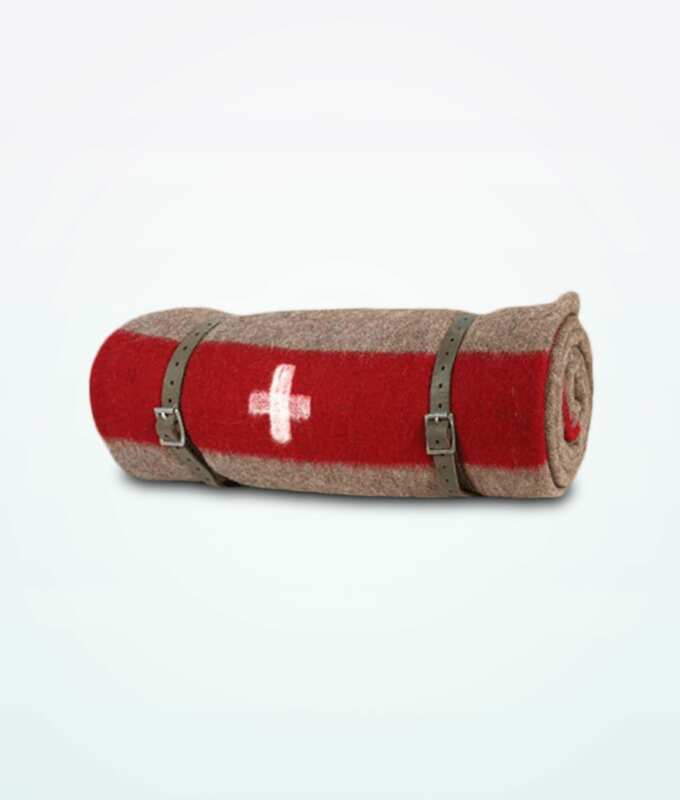 The original Swiss Army blanket is one-of-a-kind and limited in supply. These blankets were produced from the end of the 19th century up to the early sixties and stored in caves in the Swiss Alps, which served as military depots. In addition, Swiss troops also used them for covering their horses. 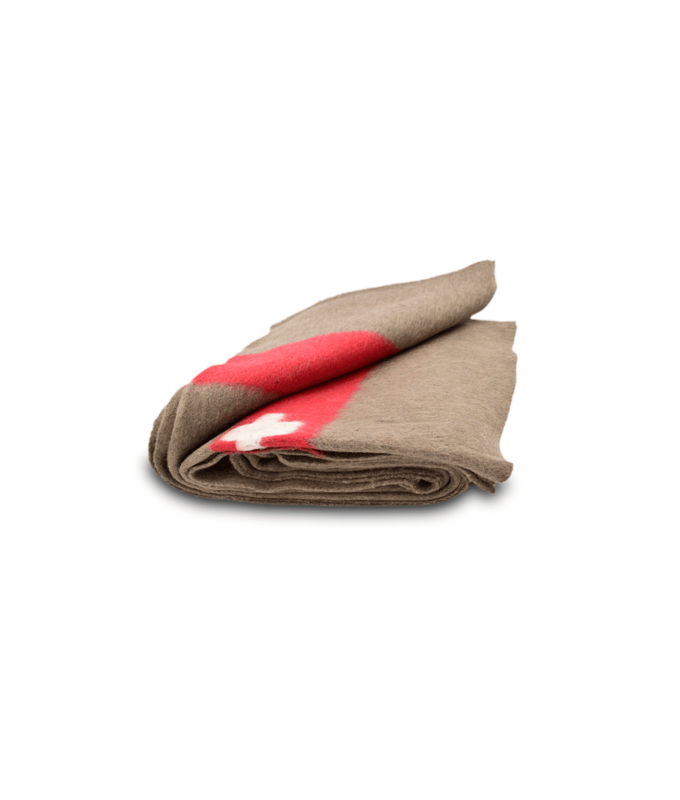 To this day, the Swiss army uses this outdoor blanket in civil defense facilities, in natural disasters and as protection for military horses. They are durable even in the difficult Swiss mountain environment, which is why they have started production again! 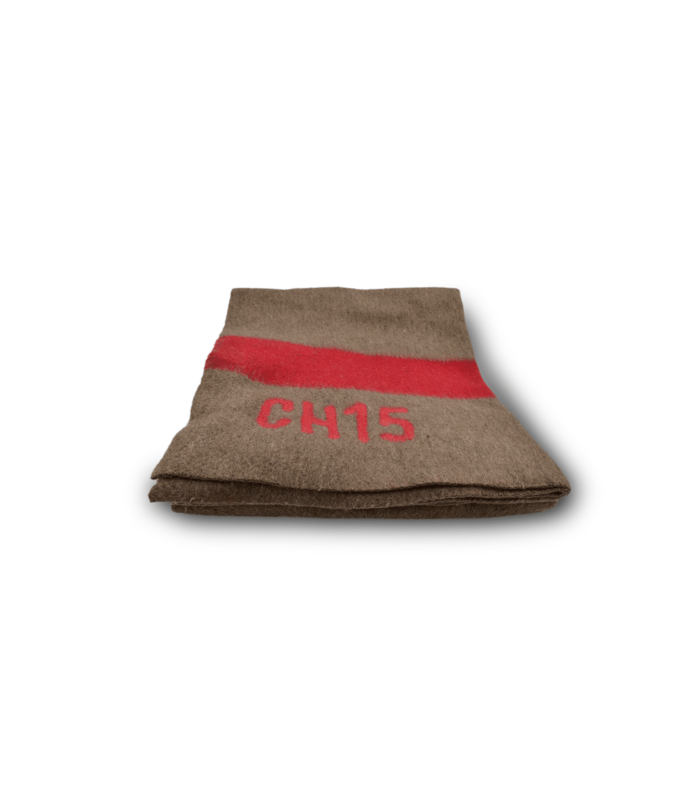 Consequently, our blanket is an original, unused product of the Swiss Army. Take your picnic blanket on your outdoor adventure! It will be your trusted companion whenever you go hiking, camping and spending quality time with your family. This outdoor blanket will keep you warm in any environment, therefore it’s truly a once in a lifetime investment. Create unforgettable memories with this family picnic blanket!